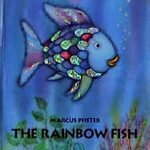 Today we’re sharing a fun process art activity to go along with the book The Rainbow Fish. 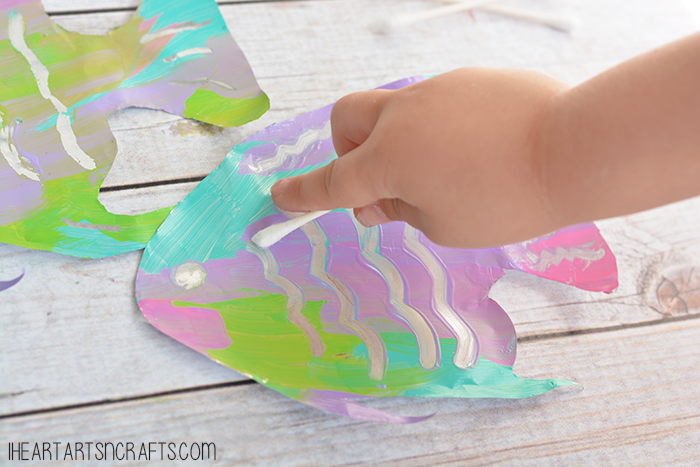 This little activity is great for working on fine motor skills and color mixing as well. We started off by color mixing on the aluminum foil and then used Q-tips to create our shiny scale designs on our fish. 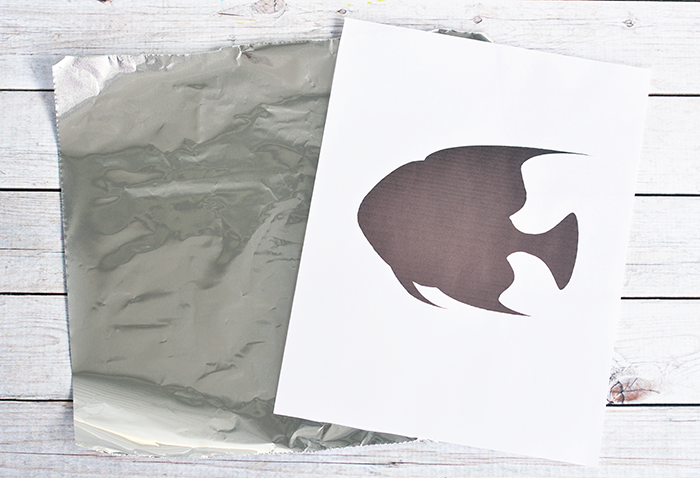 There’s also a free printable fish template below to help you trace out your fish shape onto the foil. 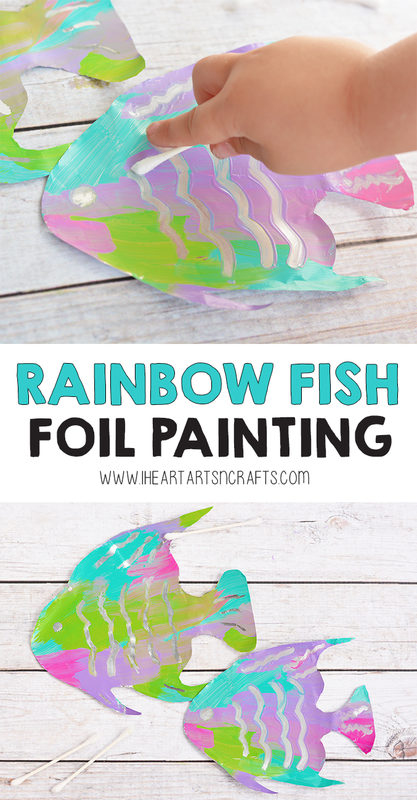 To begin you’ll want to trace your fish shape out onto your aluminum foil. You can either do this step by free hand or you can download this template. 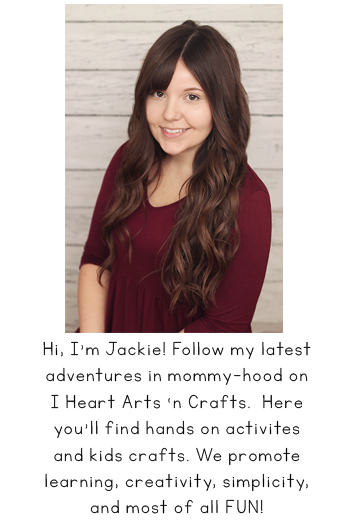 If you download the template, simply print it out on card stock and cut it out. Next, you can start painting. 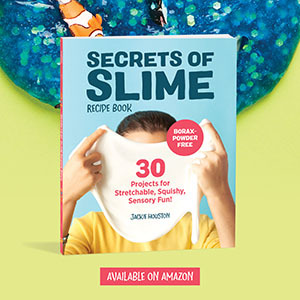 We used colors that went with the book but you can get creative and use any you’d like. Finally, BEFORE your paint dries you’ll want to do this final step. 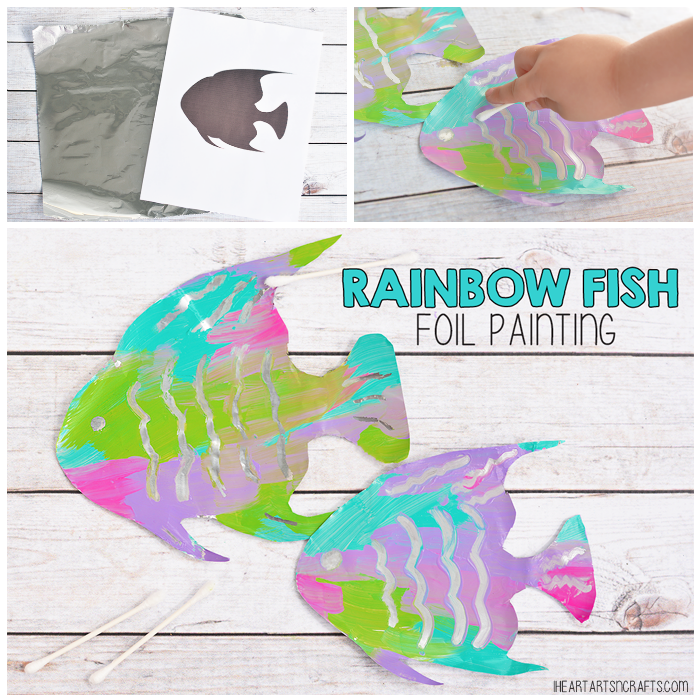 Take some Q-tips and use them to draw designs onto your fish so that the shiny foil shines through. You’ll need a few Q-tips for this step because once the tips are covered in too much paint they don’t wipe the paint off as well. You can complete the craft by gluing it to a piece of card stock paper so that they’re easier to display.